National Arbor Day is celebrated each year on the last Friday in April. Founded by J. Sterling Morton in Nebraska in 1872, Arbor Day is a nationally celebrated observance that encourages tree planting and tree care. 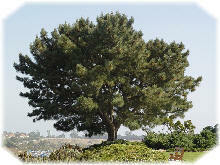 Arbor Day celebrations vary from state to state depending on the best time to plant trees for the particular climate. Celebrations are held as early as January in some southern states, and as late as May in some northern regions.